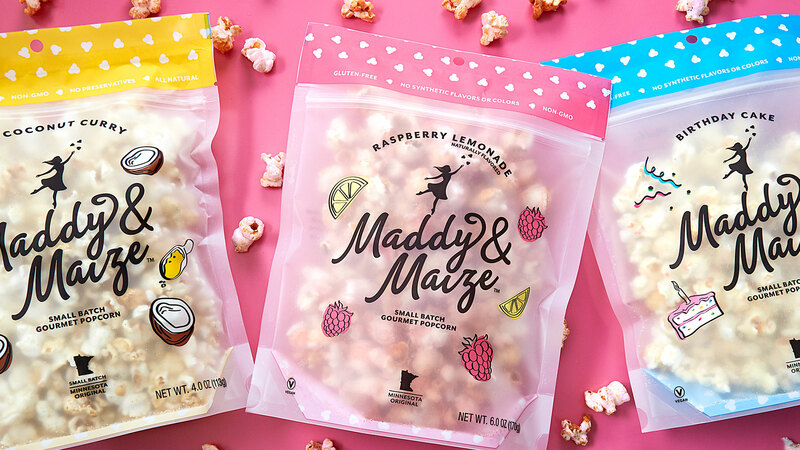 With bold flavors like Bourbon Barbeque and Apple Pie a la Mode, gourmet popcorn brand Maddy & Maize had an innovative product that could stand out from the competition. However, their packaging lacked the excitement and creativity to match. CBX was tasked with creating a packaging design system that was as breakthrough as the product inside. We wanted the new packaging design to be as playful and modern as the brand itself. At the same time, it was important that the packaging be able to highlight the product’s quality ingredients without falling into other natural food products clichés (i.e. exclusive, overpriced, overly trendy, etc.). 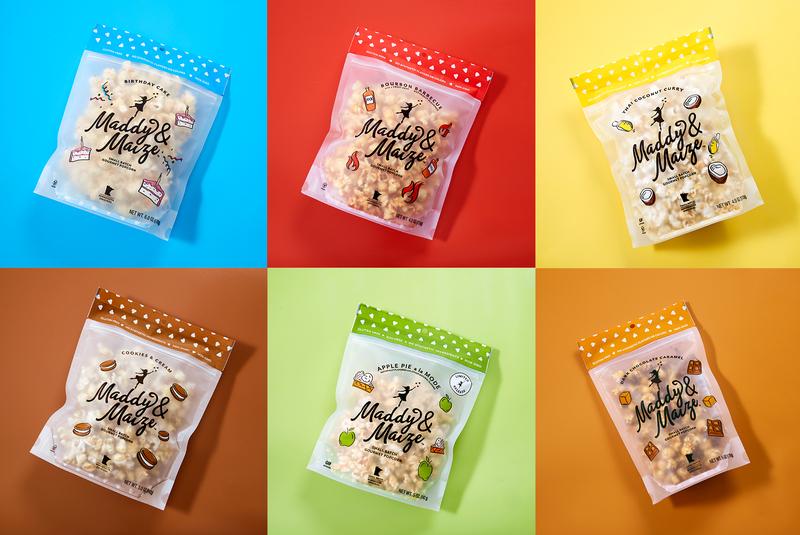 Through our design strategy process we made use of a frosty, translucent pouch to provide a window to the popcorn inside, and leveraged colorful, illustrated graphics to speak to the different flavors. A matte finish signifies the premium quality of the product and creates contrast on shelf against a sea of glossy popcorn packages. 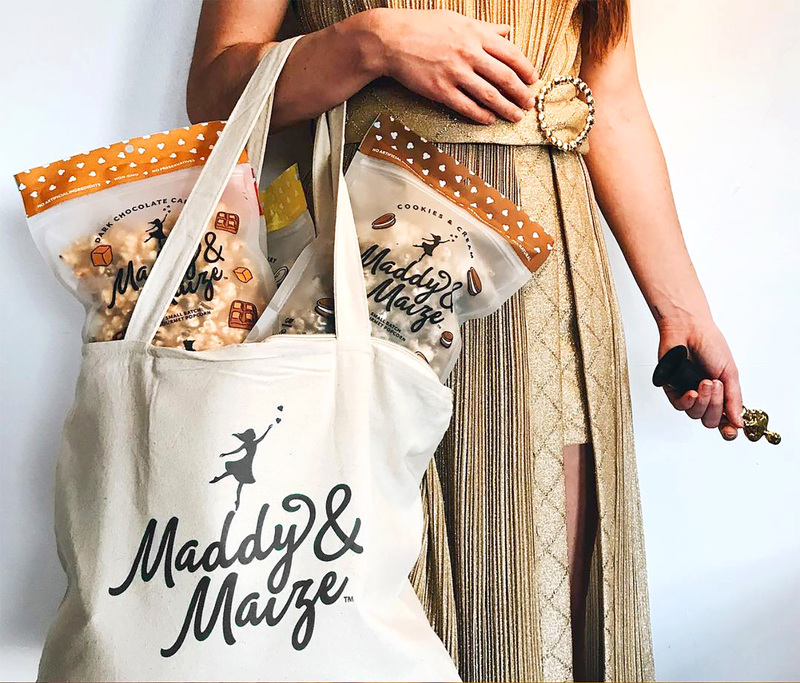 Maddy & Maize was featured in the swag bags at the 2018 Oscars and Golden Globes!